We’re living in the best era. Period. Technology has empowered us limitlessly. Think of it… a decade back, you couldn’t have imagined that there would be a time when you can invest in shares from the comfort of your bed, at the dead center of a night. You couldn’t have believed if someone would have told you that to learn how to trade in stocks online you just have to watch a few hours of YouTube video. So many investment opportunities around us are now exposing our excuses. If you’re still making excuses why you’re aren’t investing in the stock market, why you’re sustaining big losses, and why you aren’t making money, you’re being exposed. Opportunities are everywhere. It’s just a matter of some work on your end to leverage on them. You can’t say that until you have tried the game first-hand. You can’t make this opinion based on others’ opinions. Indeed, trading is not easy. But, in the end, it all comes down to your own strategies. You can’t call it “difficult” if you haven’t sustained any loss. Not really! Many traders who take losses, they don’t work hard and smart in the first place. Unless they are working with the right plan, they would always get unlucky. There’s no two-way in that! 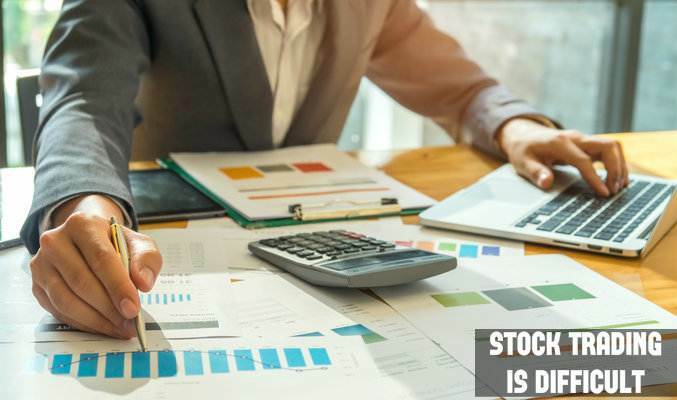 If people have the time to dream big about making money from stock trading, they definitely have the time to read charts, analyze new trends and learn how to trade stocks. So, if you genuinely want to make highly profitable trades, you must have all the time that making such amount of money requires. Understand that if you’re bending the fundamental rules or your own strategy based on your momentary instinct, it won’t be a one-time thing. You would do that even in the future. And this is not good for your long-term trading goal. You can’t justify lowering your stop-loss position. It’s a classic sign of emotional trading, which is fatal. Don’t wait for the trend to turn around and breaks you even before you get out. It’s imperative that you work per your trading strategy, stopping loss at the right time; else you would be disproportionate-ing your risk to reward ratio. 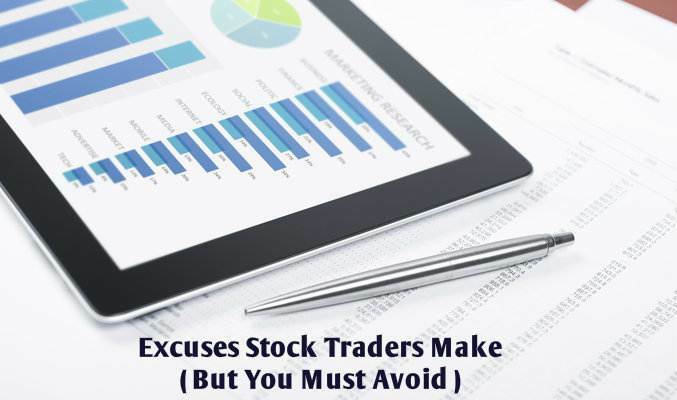 These are 5 very common excuses many stock traders make. You don’t want to be one of them. Get rid of these excuses, and you will automatically unlock your newer potentials to become a much more profitable stock trader.